The trick to making good shrimp scampi is to not overcook the shrimp. This is where your crockpot comes in handy! Cooking the shrimp slowly will give it time to soak up all the flavors of the sauce and keep you from having to stay glued to the pot. 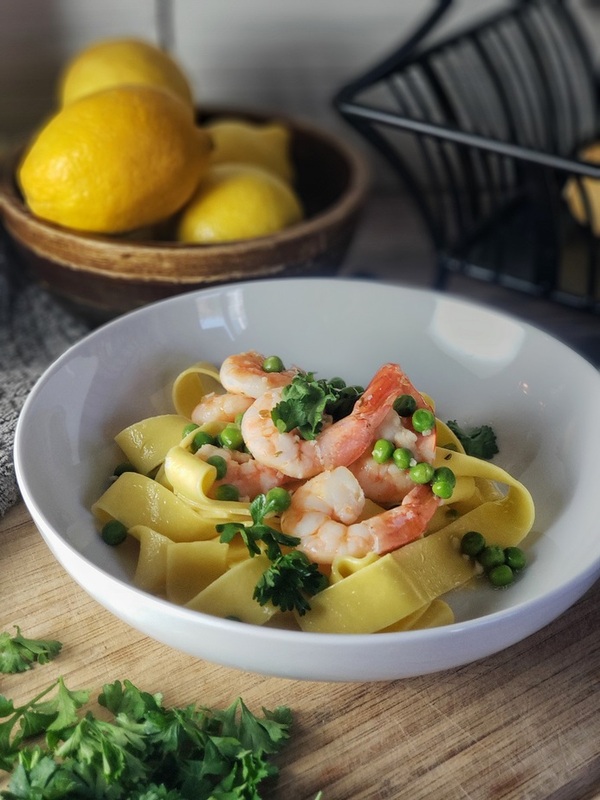 This is why a crockpot shrimp scampi recipe may be the best way for you to try cooking this meal on your own. For some, even thinking about making shrimp scampi is scary. 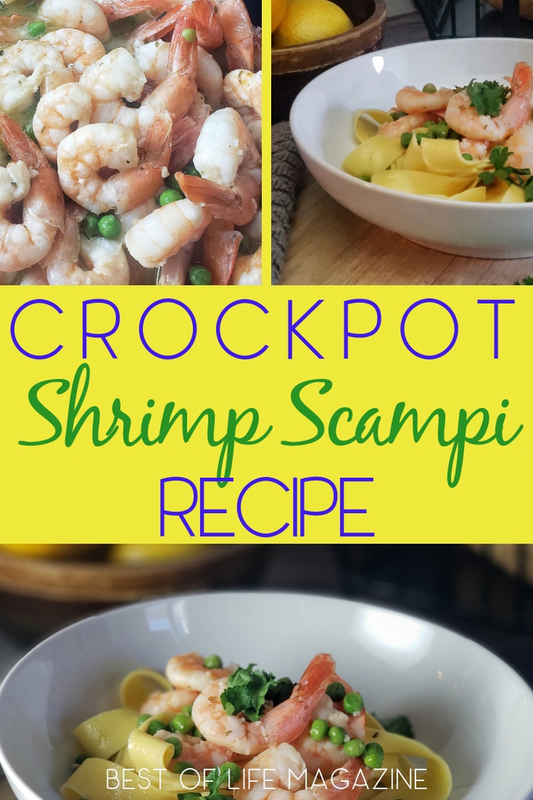 But when you use a crockpot shrimp scampi recipe, you can put those fears aside and enjoy. 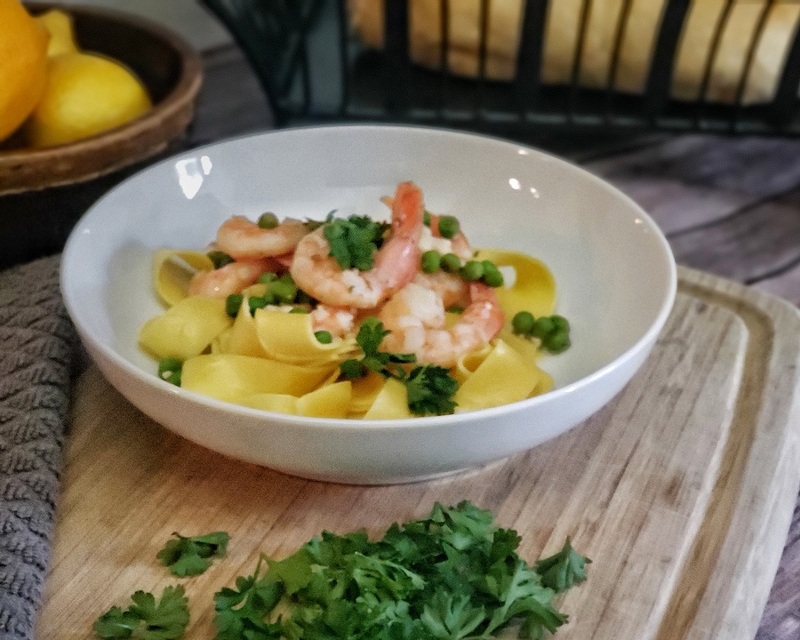 Shrimp scampi is a truly Italian-American comfort food dish that is simple but flavorful. The word scampi in this dish actually refers to the style of cooking more than the shrimp itself. Actual scampi are little lobster-looking crustaceans, also known as langoustines, that are more plentiful in Italy. 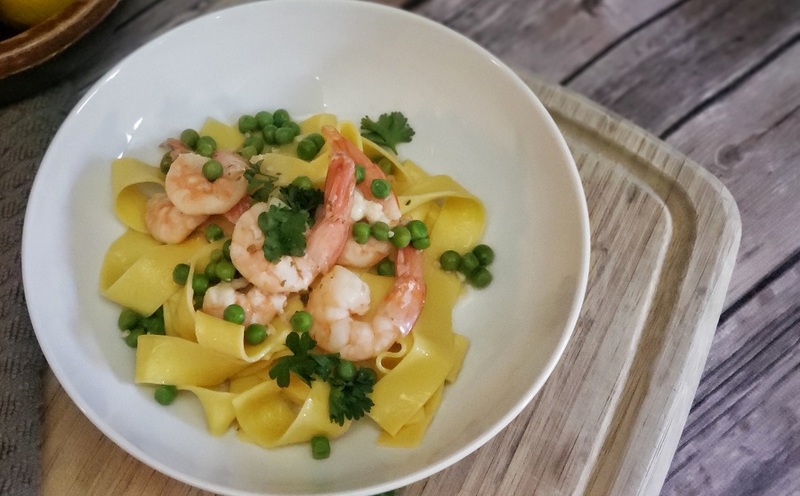 Italian cooks in the U.S. swapped shrimp in the traditional recipe since they were easier to come by in the states. The classic dish, sometimes just referred to as scampi, most commonly means sauteed in butter and oil with a few fresh seasonings, like garlic and fresh herbs. It goes well with a bowl of pasta or rice as both soak up the flavorful garlicky sauce. It also goes great with a slice of crusty bread, or simply on its own. 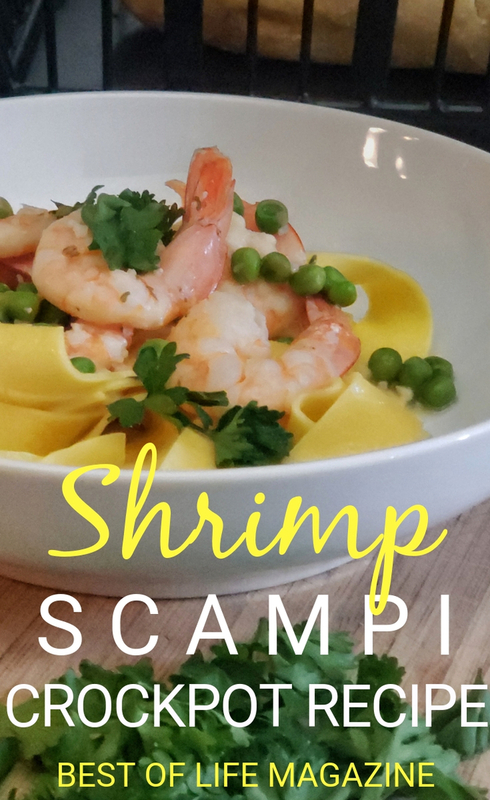 Shrimp scampi is a simple favorite you’ll want to make again and again. Shrimp does cook very quickly though, and it’s easy to end up with a pound of pink, rubbery shellfish that has the consistency of a tire. If you are using the traditional method of tossing them in a hot pan full of sauce, you can take your eyes off of them for a second and end up with a chewy disaster. Cook them slowly in your crockpot and you can set it and forget it! At least for a little while. You’ll know when your shrimp are done when you see them turn a nice pink color, but don’t let them start to curl up at the sides. Since every crockpot can vary slightly, it’s important to start checking on your shrimp after an hour. Once they are done, turn off the crockpot and remove the inner pot, to take the shrimp off of the heat. Don’t forget to use oven mitts! Shrimp scampi is best served immediately in all its warm, buttery, lemony glory. Serve it with your favorite accompaniments, or keep it low carb and eat it on its own or over a bed of cauliflower rice. 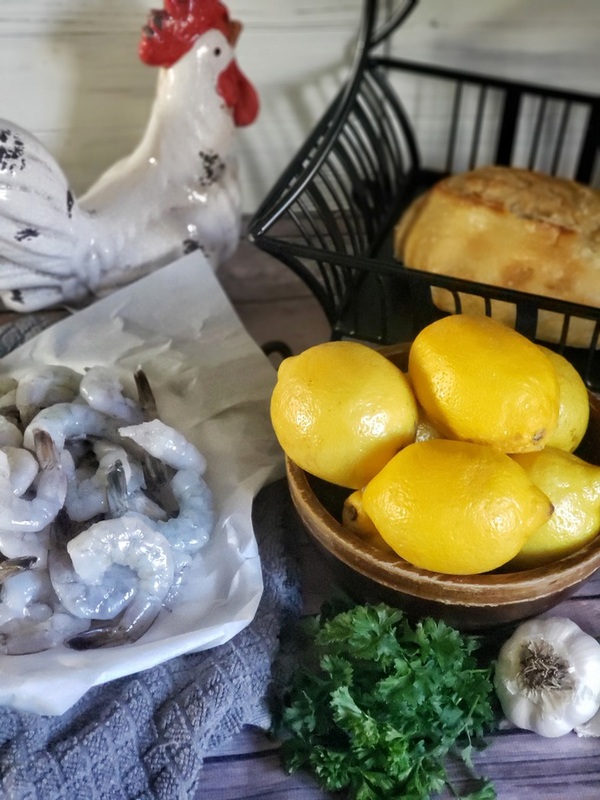 Now that we know about what is involved in making shrimp scampi, many of us can guess what ingredients we need. Of course, we need the shrimp. Make sure you get raw, tail-on shrimp for this recipe. But also, don’t forget the butter and chicken broth to help your shrimp cook more evenly. You’ll also want to make sure the rice or pasta you add is cooked before adding it into the crockpot shrimp scampi. Turn your Crock-Pot to high and add the broth, olive oil, butter, garlic, lemon juice, salt, pepper and 2 tablespoons of parsley. Stir to combine. As the butter begins to melt, add the shrimp and stir to combine. Cover and cook on high for 1½ hours (2½ if you cook on low setting). Depending upon your Crock-Pot, some may cook up to 15 minutes quicker. Once the shrimp is pink, it is done. Add frozen or fresh peas and give it a quick stir. Turn off the Crock-Pot and remove the inner pot to stop cooking. Let it sit for 3-5 minutes and then stir to combine the sauce and shrimp. Serve over rice or pasta (or whatever you choose) and garnish with the remaining parsley. 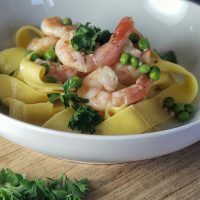 For some, even thinking about making shrimp scampi is scary, but when you use a crockpot shrimp scampi recipe, you can put those fears aside and enjoy this easy tasty recipe. Cover and cook on high for 1 ½ hours (2 ½ if you cook on low setting). Depending upon your Crock-Pot some may cook up to 15 minutes quicker. Once the shrimp is pink, it is done, add the frozen or fresh peas and give it a quick stir. Serve over rice or pasta and garnish with the remaining parsley.